Advanced group went to Uluwatu this morning, head high on some sets, clean waves, long rides & everybody had fun session (see photos). 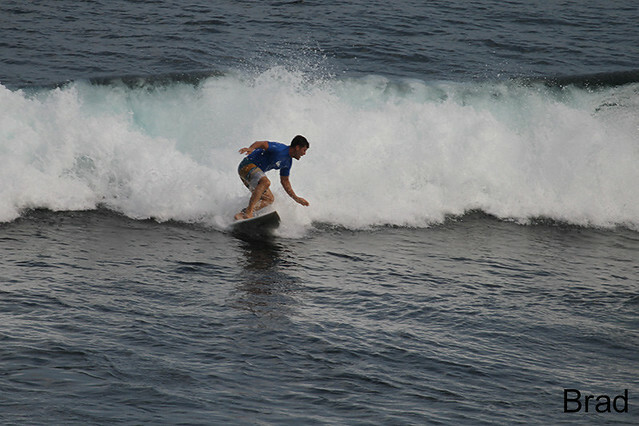 Beginner and intermediate group surfed Balangan this morning, had lunch on the beach and then another session on the outgoing tide, waist-shoulder high on some sets, clean waves & break smoothly. Swell size a bit smaller than yesterday. Sunny, light offshore winds.